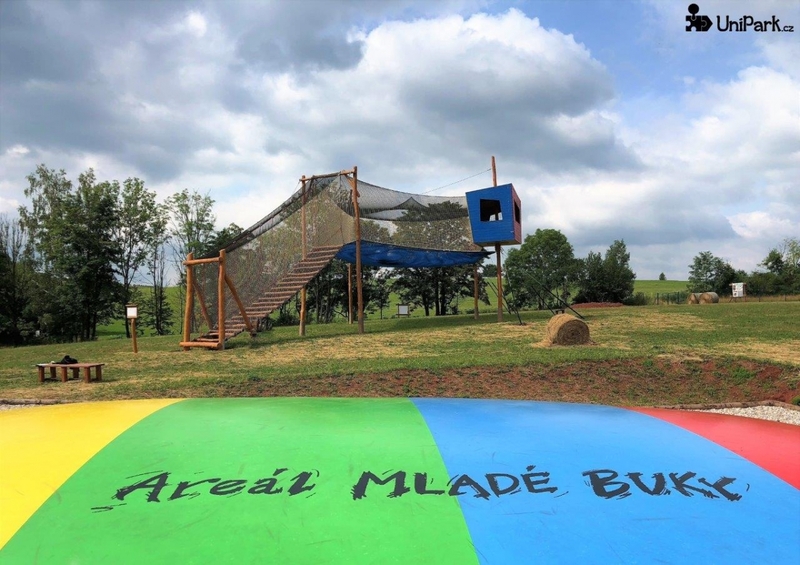 Welcome to just finished Nets attraction in the adventure park Balduv svet, Mlade Buky. 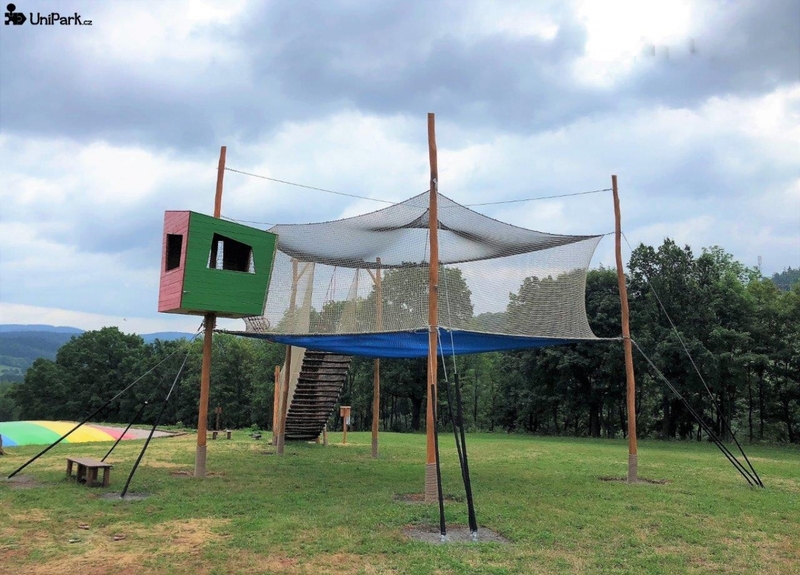 We designed and built a refreshing alternative to stuffy indoor play centers, where the whole family can enjoy an endless supply of fresh air. 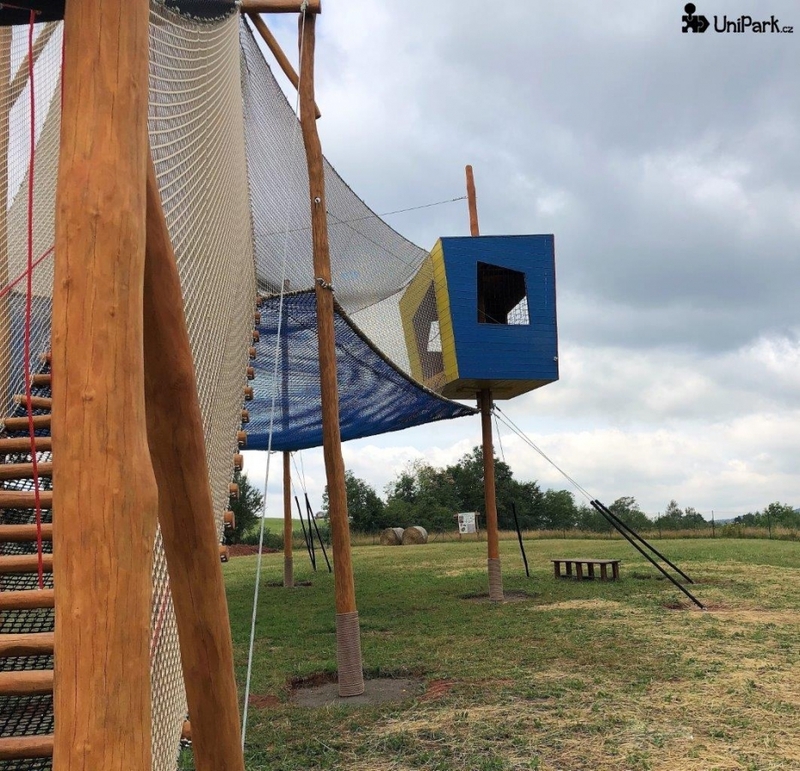 The unique attraction is situated right on the highest point of the meadow, which offers a wonderful place to look around, sit back, play and observe the splendid outdoors. 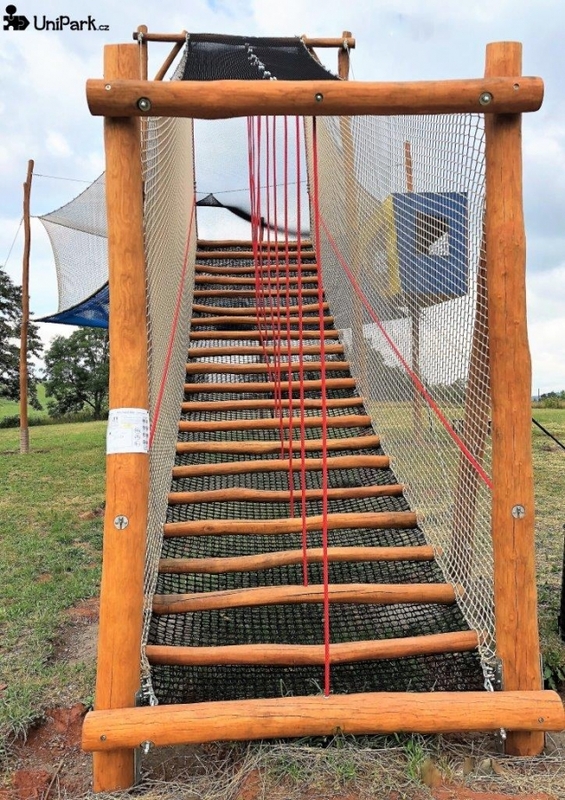 The playground is made from nets and five Robinia columns, which create a huge jumping area. 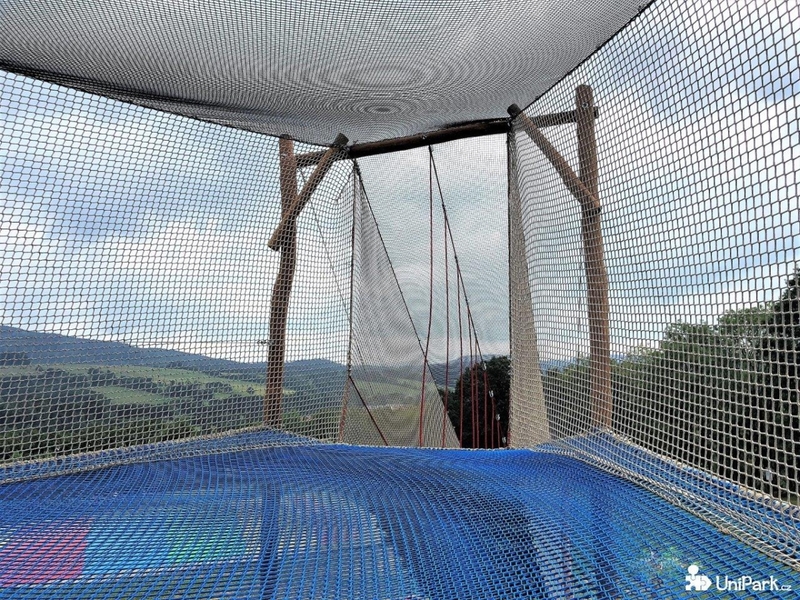 The floor works partly as a trampoline and hangs 3.5 meters above ground, completely enclosed in the hammock-like netting, which will keep you safe. 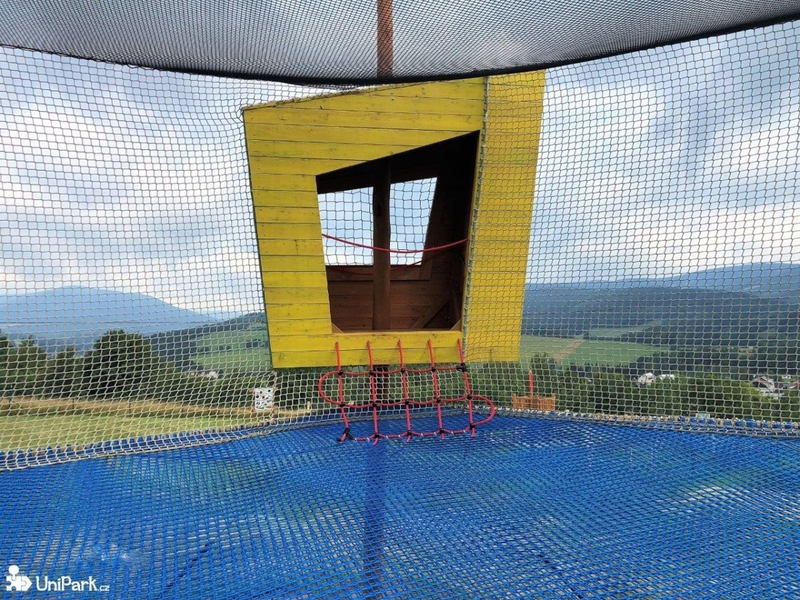 Absolutely no specialist equipment is required. 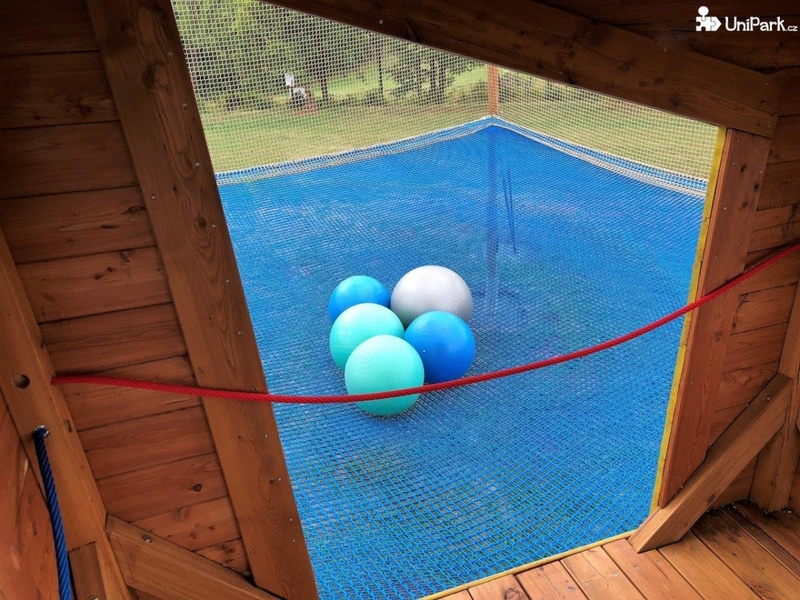 You can run around, jump, swing with the wind or play with inflatable balls. 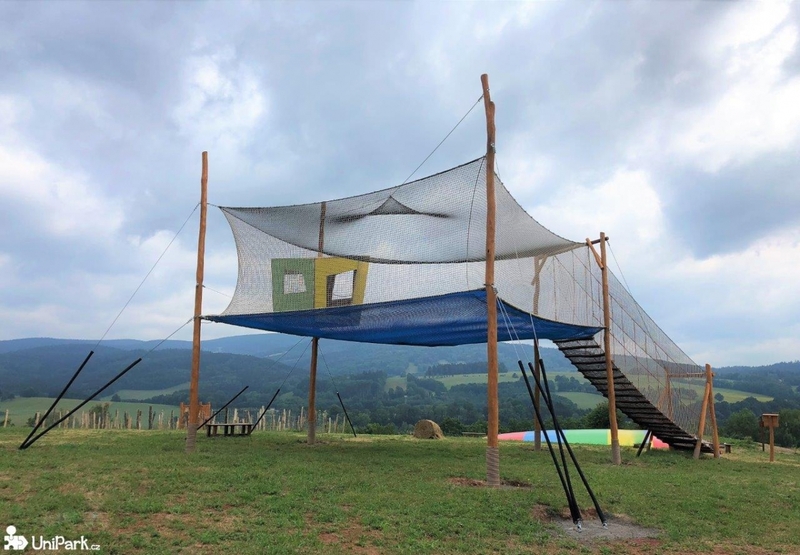 The attraction promotes the development of physical abilities, coordination, balance, spatial orientation and child creativity. 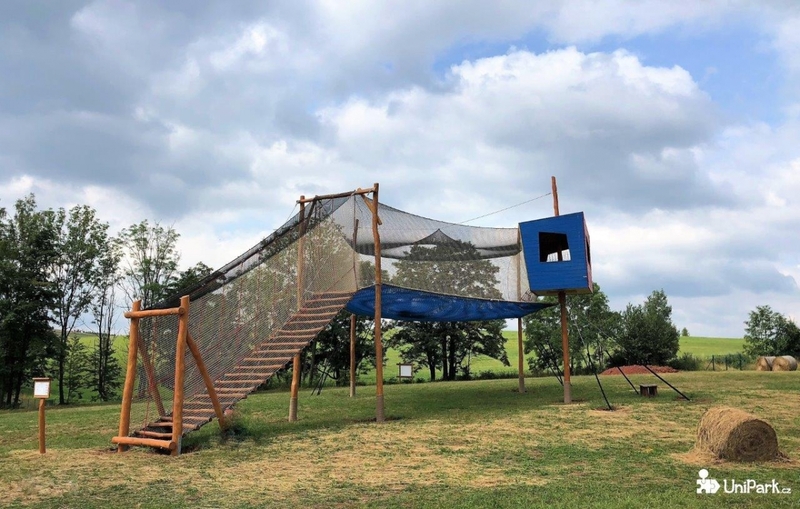 It is suitable for everyone older 3 years, is opened all year round and has the capacity of 40 people at one moment. 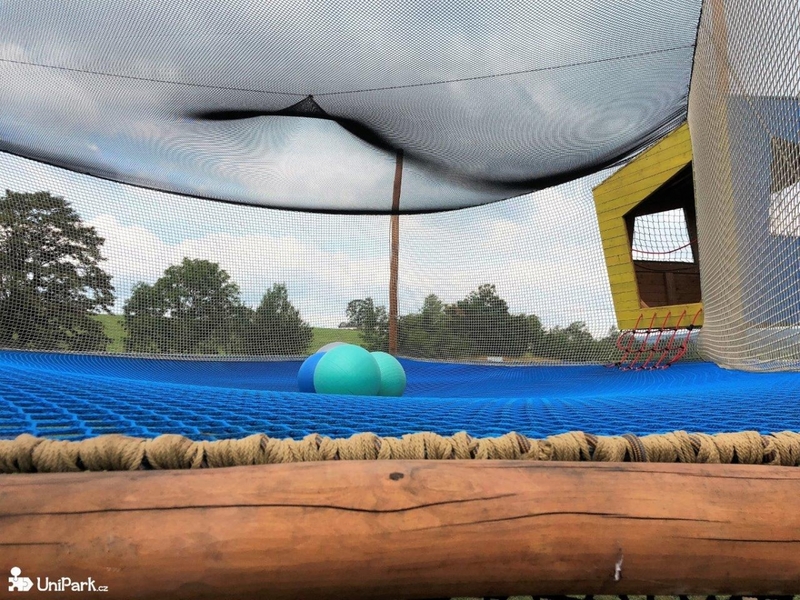 The whole concept is designed and prepared for future expansion and development. Adventure never smelled so good! 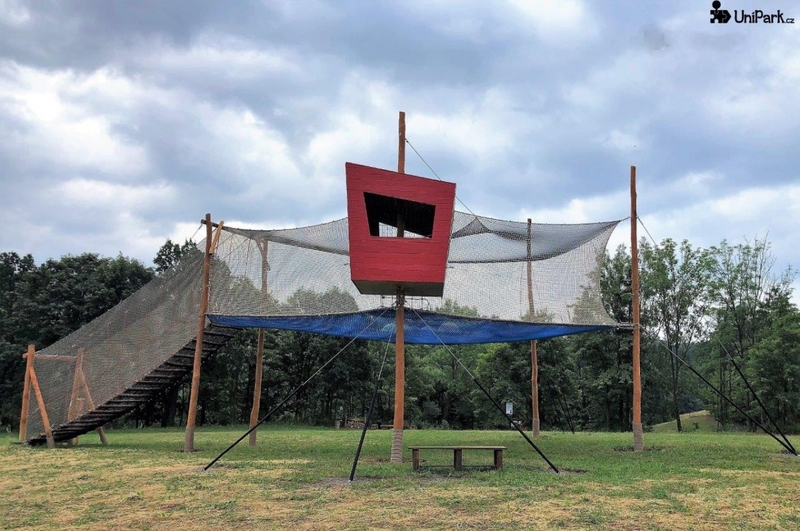 Come and enjoy the great adventure with a magnificent view from the treehouse windows oriented towards Snezka!